1:20pm EST - Client is out and devblog is live! 12:00am EST - Well, those are interesting words to use as a description for any area in Rust. 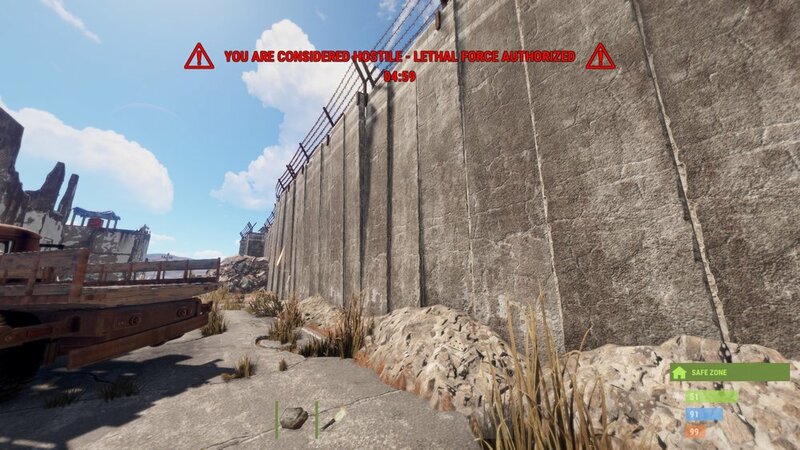 For the first time, Rust has an area solely designed to allow for safe player and world interactions with minimal chance of harm unless you are brandishing a weapon, or have recently brandished one. Filled with peacekeeping turrets and scientist NPC’s this zone is likely going to shift a few dynamics in the game, and will certainly see some tweaks as time goes on as well. 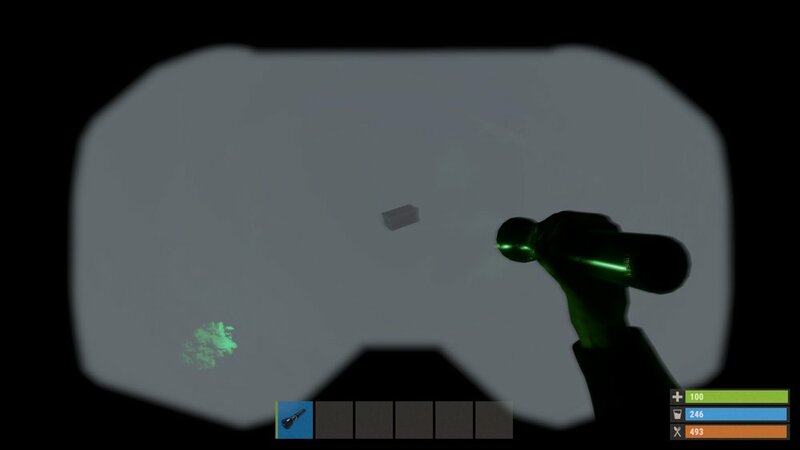 New loot environments are spread out in the ocean surrounding Rust island for your looting pleasure following this update. 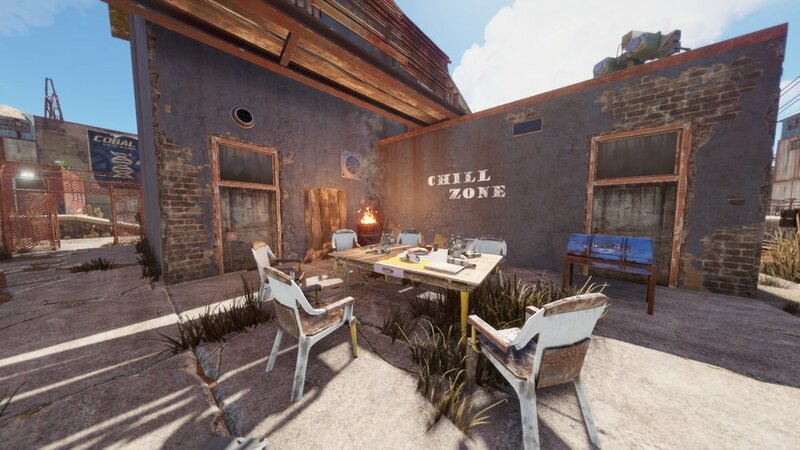 Designed around a small town connected to the roads leading to other monuments the Compound offers many amenities for players starting out fresh, or a change of pace for established players. This area is loaded with peacekeeping turrets and NPC’s. Attempts to disrupt that peace are met with swift force as only a 4-second warning is given if you equip a weapon or lethal tool. After that you are considered hostile and will be gunned down, you remain a hostile threat in the area for 10 minutes following your infraction. You should be able to recover your items though as looting bodies that aren’t your own is considered a hostile act as well. The words “Safe Zone” are shown on the bottom right side of the screen where you see things like comfort and building privilege, this safe area extends to the range of the external peacekeeper turrets. 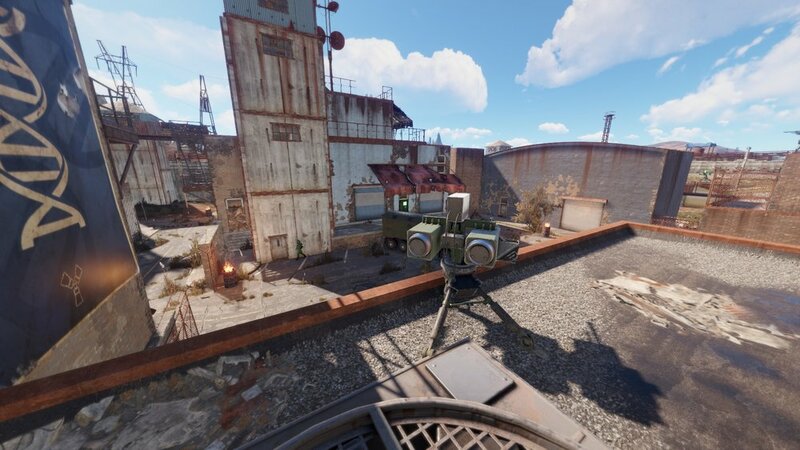 Vending machines with resources, tools, mixed level gear and weapons are spread throughout along with a refinery, recycler, research table, repair bench, and a couple of level one benches are available as well. A neutral sit-down area is located within the walls which will surely foster colorful conversations. Diving gear is making its official debut today. This must-have attire for deep sea looting cannot be crafted and is primarily found on floating junk piles. The oxygen tank capacity has been increased to 600s as well. For more information on diving and the individual clothing pieces please check out last week's post. 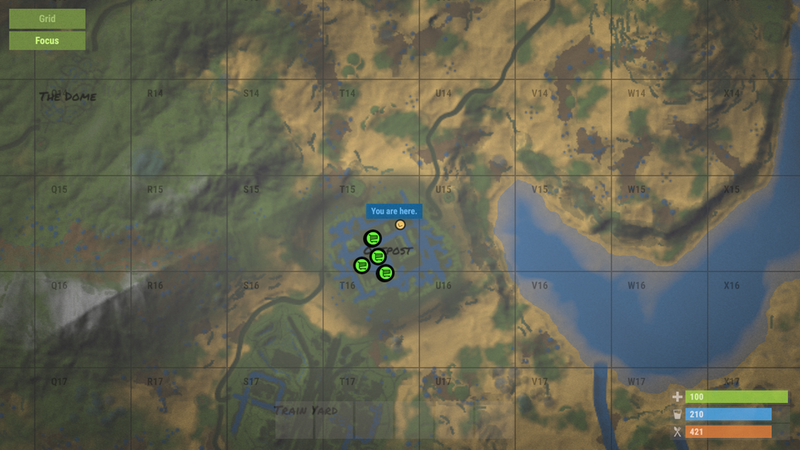 Vegetation and rocks are now found all around of the coasts around the map. The sand-covered ocean floor now is dotted with plants and procgen rock outcrops to add a noticeable visual improvement. Along with the aesthetically pleasing environment, sunken boxes, barges, and boats can be found as well. 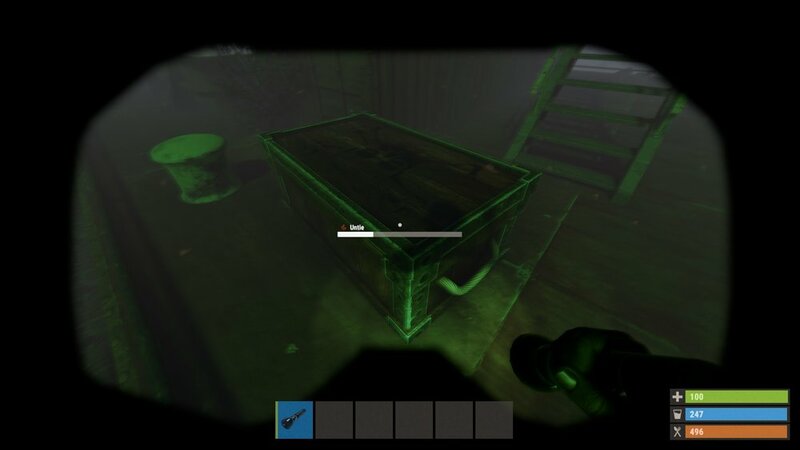 Boxes can be untied and float to the surface to be looted. Diving gear is required as the time spent underwater including untying will cause drowning fairly quickly, it’s also painfully difficult to see this underwater loot without said gear. 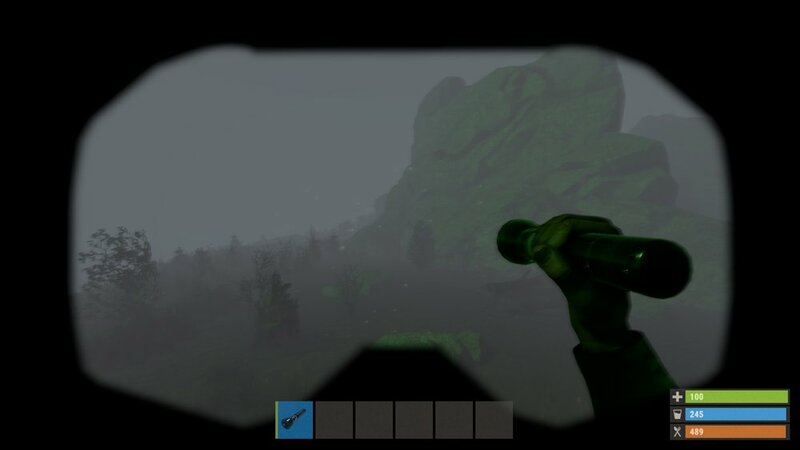 Another graphical and immersion improvement has been added this week in the form of first person clothing! 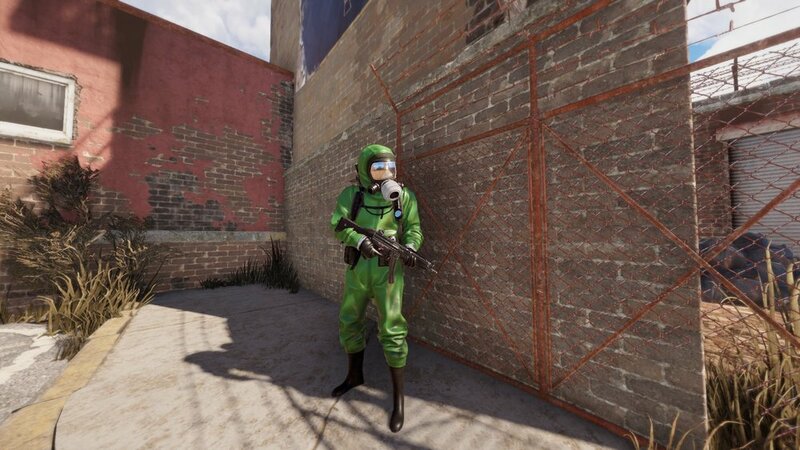 A long time request from the community, first person clothing is now reality. You can see your fancy threads while holding a weapon or tool, and it updates based on the skin that you choose. Alistair has shared with us that server performance is largely going to remain the same with this update. As some of you have experienced on our US and EU Main servers, in-game performance has been less than ideal at times. At Rustafied we are constantly monitoring and proactively working on our servers to maintain the highest performance possible. A bit of bright news was shared as well though, Unity 2018.1 was just released and the dev team is hard at work on bringing those improvements to the game as soon as possible.